Available in a wide range of sizes and with key or electronic locking, the Burton Aver S2 is and ideal safe for the home or office. Certified by the experts at the ECB-S, the Aver S2 has been tested to the EN14450 burglar resistance standard. During this test, engineers attempt to break into the safe using a variety of tools and methods. Only the most robustly constructed safes will pass such scrutiny. The Aver S2 features a double walled steel body and door with special drill-resistant materials protecting the lock mechanism. 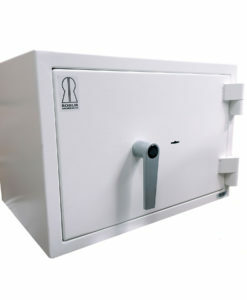 With a cash rating of €5,000, the Aver S2 is ideal for storing cash and valuables. 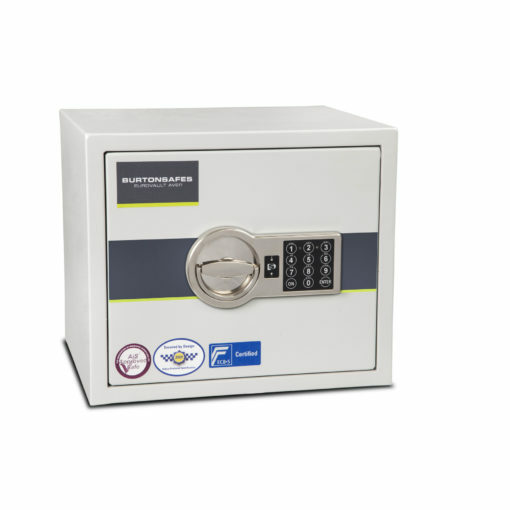 It is a perfect safe for businesses handling a small amount of cash daily, or for home owners looking to secure jewellery or other expensive possessions. It is also relatively lightweight, making it easy to install and unobtrusive.